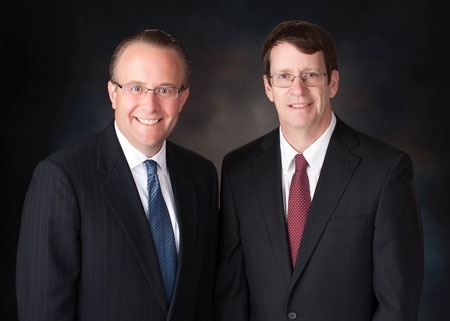 Bill Oldfather and Troy Brockmeier each have over twenty five years experience in the financial services industry. Oldfather Financial Services LLC is owned and operated by William Oldfather . He has been personally and professionally involved in financial markets for over thirty years. Twelve years as a stockbroker and over twenty years as a Registered Investment Advisor. He holds a Bachelor of Science degree in Business from the University of Nebraska and an MBA from the University of Denver. He has the education and experience to match your dreams and goals with the appropriate investments. Troy Brockmeier, CFA has extensive background in banking and finance as President of Wells Fargo and Chief Financial Officer of Patriot Technologies in Kearney. Prior to that he was Portfolio Manager for the National Bank of Commerce and the investment management firm of Wells Fargo. He has received his Chartered Financial Analyst Designation, an elite professional credential covering all aspects of financial investing. Troy has been Chairman of the Kearney Area Chamber of Commerce, Chairman of the United Way Campaign, President of Kearney Sertoma Committee Chair of Boy Scout Troop 158, coach for youth baseball and basketball, and member of First Lutheran Church.